The enchanting "Victorian Village" of Ferndale in the Eel River Valley is designated a "Distinctive Destination" by the National Trust for Historic Preservation and is a California Historical Landmark. Named by its founders, the Shaw brothers, to honor the six-foot-tall ferns that once choked the thickly forested valley floor, the town became a vital center for goods bound by water for San Francisco and a crossroads for stages to Eureka and Bear River. For many years after the Shaws first paddled their canoe across the Eel River in 1852, travelers forded it by ferry. This changed when Fernbridge was constructed in 1911, at that time the longest reinforced concrete-arch span bridge in the world. 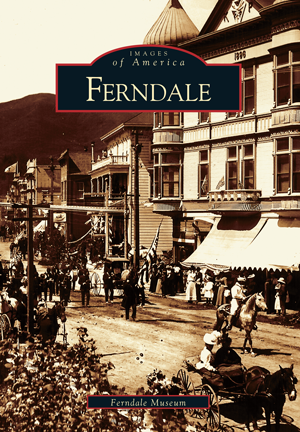 Drawing on the large photographic collections of the Ferndale Museum, this book traces the history of the entire valley, including Port Kenyon, Arlynda, Centerville, Grizzly Bluff, Waddington, and the Wildcat. Readers will learn about the historic Shaw House, still standing, the many other ornate Victorian Butterfat Palaces, and the prosperous dairymen who built them.